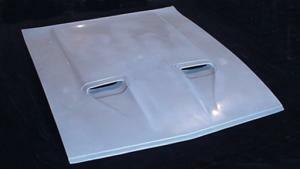 MU200T 1971-1973 Mustang hood, stock flat version with original twin scoops. Features full inner structure for strength (except for MU200T). Smooth gray gel coat finish. Bottom has full liner. Scoops are functional. 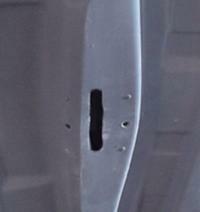 Rear section showing hinge mounting area. Bolts included.